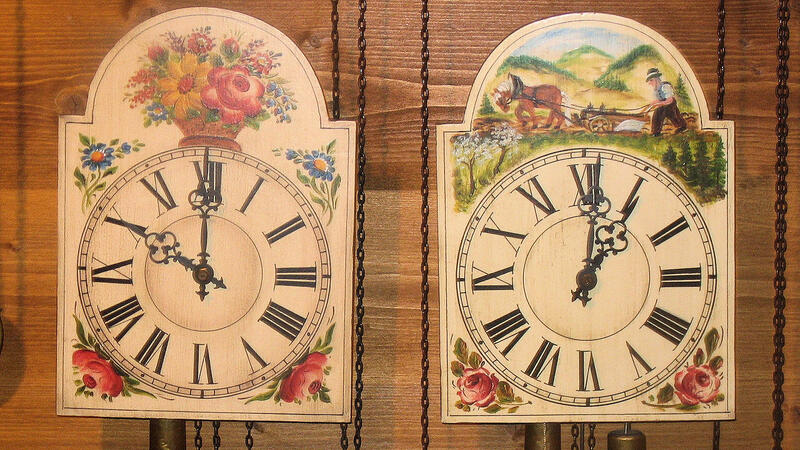 Apart from the cuckoo clock, the painted shield clock is the most well-known clock design in the Black Forest. 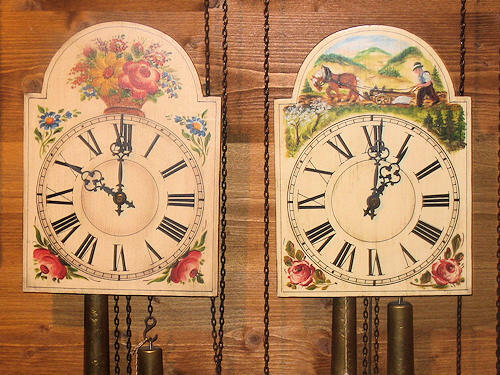 The vertical surface of the clock shield is painted with a large variety of motifs; flowers, Black Forest houses, mills and typical rural trades or handicrafts are often depicted. There are also individually designed clocks e.g. for a wedding, with the names of the bridal couple and the family crest.